Pramac GSW 22 z Anglii Stewarton , East Ayrshire , Central Scotland . Lokalizacja Stewarton , East Ayrshire , Central Scotland . 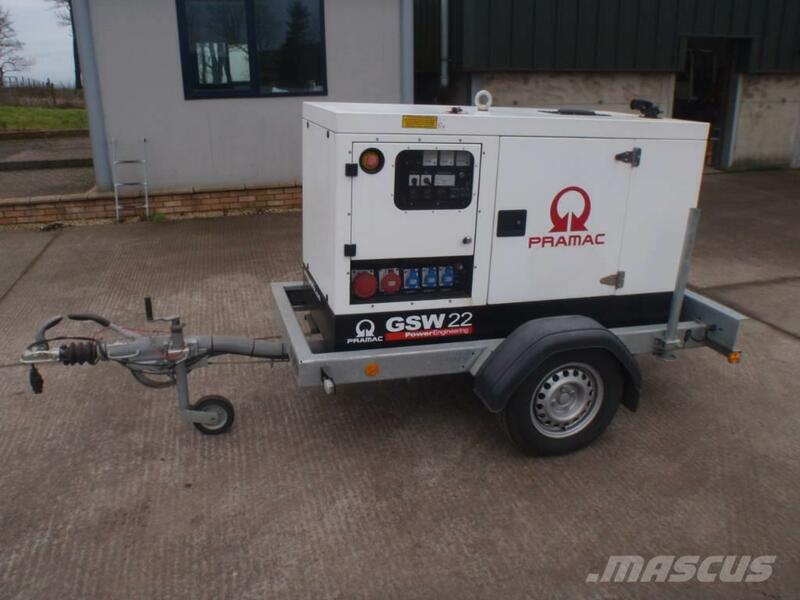 Dodatkowe informacje Pramac GSW 22 silenced Generator . Full rental spec. with socket pack all protected, 3 way fuel valves and fitted to Knott Avonride fast tow trailer. Only 1488 hours from new . 3 x Single Phase sockets . 2 x 3 phase sockets . Perkins Diesel engine which runs at 1500 RPM in silenced canopy . Spare keys with machine . As new condition throughout and one owner from new .